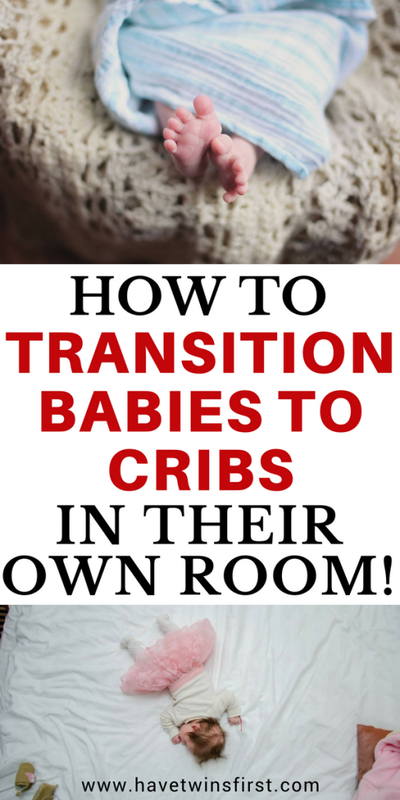 At some point most parents will need to transition their infant from a bassinet to a crib. For some this will be an easy and smooth transition, while for others this will be a struggle. In our case, the twins took to their crib easily, while our singleton really did not like his crib, until recently. 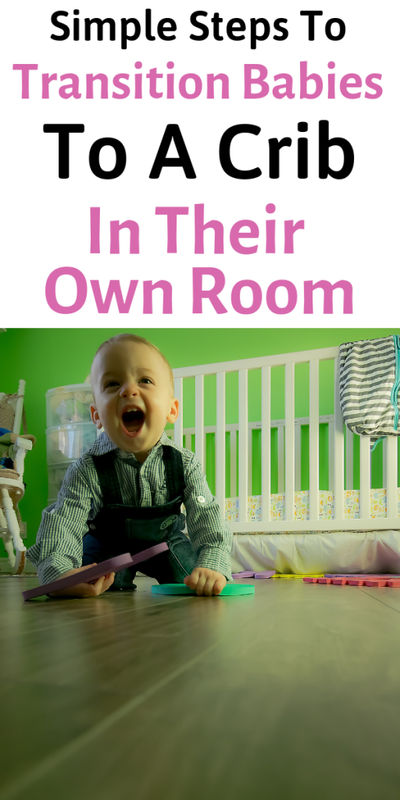 All our children slept in our room until they were approximately 12 weeks old. During this time they slept next to our bed in a Rock N Play sleeper. These are great devices for newborns to sleep in because they are very cozy. Babies sleep on an incline, which can be helpful if a baby has acid reflux. Around the 3-6 months, your baby will start to outgrow his bassinet. Not only will he outgrow his bassinet, but he will also start breaking out of his swaddle. 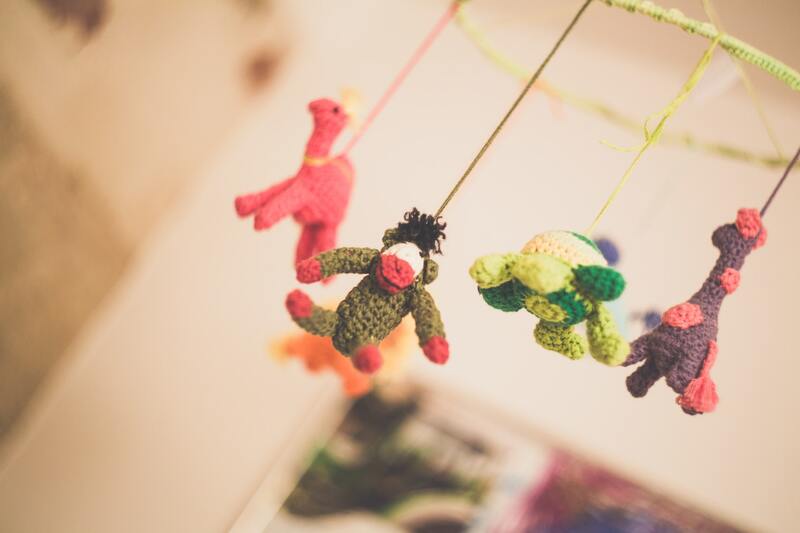 So, how do you make the transition to the crib easier? Start with naps, here’s why. During the first 6 months, naps for the twins took place in all different locations. The Pack N Play, their cribs, car seat, bouncers, etc. With M, our singleton, he mostly only napped in his Rock N Play and his bouncy seat. Both of these devices have the baby sleep on an incline. When M came along, I had totally forgotten that I used to have the twins sleep on flat surfaces. I had even done this on purpose because I knew they would have to eventually sleep flat in their cribs. Additionally with M, I had 2 year old toddlers running around the house, which meant limited napping space for a newborn. Quite often he would end up napping upstairs in the Rock N Play. The other half of this story is we did not get his room and crib ready before he was born. We knew he would be sleeping with us for about 3 months, so we didn’t feel a need to rush. However, if I were to do it all over again I would have his crib and nursery ready ahead of time. That would have allowed him the opportunity to spend time in his room and nap in his crib. With that being said, it is a good idea to have your baby nap in his crib as much as possible. That way when it is time to start sleeping in it at night, it will not seem like such a big change for him. We did have M take most of his naps in his crib from about 3 months on, but he still did not sleep well in his crib at night. But, he would sleep just fine in his Rock N Play sleeper at night. In addition to switching to a crib in a new room at 3-6 months, there is also the transition away from swaddling. For this, I am a huge supporter of the Baby Merlin Magic Sleepsuit. All my kids have used it and slept well with it. It has been a great device to transition out of the swaddle. Additionally, even though it is marketed as a swaddling transition product, I like it even better for transitioning from a bassinet to a crib. When going from a bassinet to a crib the sleeping space increases dramatically. Particularly if your baby is not swaddled anymore, this is a huge change. The Baby Merlin Magic Sleepsuit provides a feeling of closeness that will help provide comfort to your baby in his new, much larger sleeping quarters. If you still cannot get your baby to sleep well in his crib with the Baby Merlin, you can try the cry it out method. This is what we had to do with M when he was around 6 months old. Before this age, I was not comfortable letting him cry, but you will have to decide for yourself at what age you are okay with it. He also dropped his night feed at this age, so the timing felt right. Click here for more details on how to implement the cry it out method. I also want to mention that I did find a blog post with advice to make a crib mimic the Rock N Play sleeper. We did try some of the the recommendations, but in our case this didn’t work. I also had some safety concerns and did not try everything listed. Finally, letting M cry in his crib, was not as bad of an experience as I thought it might be. After 3 nights, he was sleeping through the night, in his crib! Every few nights we need to give him his pacifier in the middle of the night, but he goes right back to sleep without being held, so I’m not complaining. APRIL 2018 UPDATE: It has been almost a year since we transitioned M to his crib and used the cry it out method. Ever since then, he has been an amazing sleeper, it’s almost unbelievable. If you are nervous about trying cry it out, it can make a HUGE difference for helping everyone in the house get better sleep. Set up the nursery and crib before baby is born. Have your newborn sleep flat for some naps from the time you bring him home. Use the Baby Merlin Sleepsuit for transitioning to the crib AND to get away from swaddling. 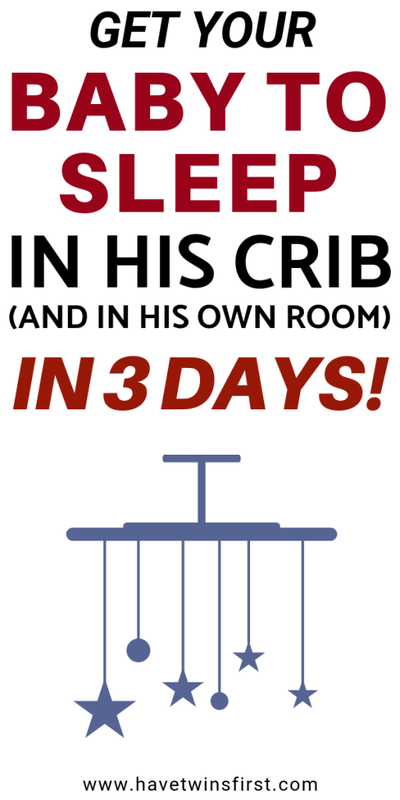 Move the bassinet into the nursery and have your baby sleep in the bassinet in his own room for a few nights. If your baby is still fussy about his crib, the cry it out method should do the trick.